To promote history and historical research. 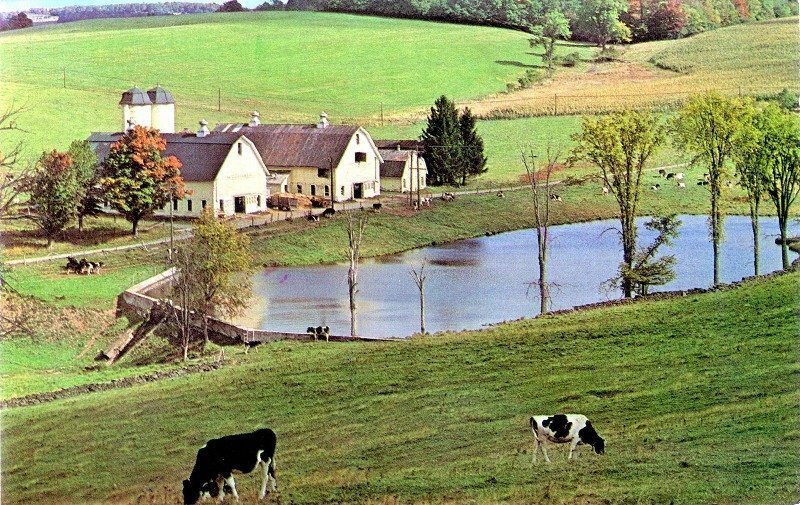 To disseminate and encourage a greater knowledge of the history of the State of New York and particularly of Meredith, Delaware County, N.Y. and the surrounding area. To collect, own, preserve, display, and make available for study appropriate historical artifacts, books, manuscripts, papers, photographs, and other records and materials. To encourage the suitable marking of places of historic interest. To bring together adults and children interested in history, encourage public interest in history, sponsor historical meetings, programs and events, sponsor exhibits, and issue publications in any format. To cooperate with county and state officials and historical organizations to collect and preserve materials of countywide and statewide significance. To acquire by purchase, gift, devise, or otherwise the title to or the custody and control of historic sites and structures, and preserve and maintain such sites and structures. Individual active members – Any person interested in the purposes of the society shall be eligible. Student members – Any student interested in the purposes of the society shall be eligible. Family members – Any family groups interested in the purposes of the society shall be eligible. Institutional members – Any organization, board, school, or library interested in the objectives of the society shall be eligible. Honorary members – Honorary membership may be conferred upon any person whose activities have contributed to the objectives of the society. Honorary members shall be elected by a three-fourths vote of members present at an annual meeting, upon nomination by the board. The annual meeting of the society shall be held during May beginning in 2006. Section 1. The officers shall be a president, a vice president, a secretary and treasurer, who shall serve for a term of one year; and eighteen trustees who shall be elected for a term of three years, except in the beginning when they shall be elected for three, two, and one years. Section 2. The officers and trustees shall constitute the board of trustees. Their number shall be not less than five nor more than twenty-five. Section 1. All officers and trustees shall be elected by secret ballot at the annual meeting by a majority of the members present voting. Section 2. Not less than two months prior to the annual meeting, the secretary of the society shall send to each member of the board of trustees a blank upon which such member may nominate one person for each office open to election. Nominations shall be returned not less than one month before the annual meeting. A committee on nominations, appointed by the president, shall select the candidates from a list of all nominees. Section 3. Any member of the society may also make nominations at any time prior to balloting at the annual meeting. A candidate for election shall be an individual active member. Section 4. Officers and trustees shall be installed at the close of the annual meeting at which they are elected and shall serve until their successors have been duly elected and installed. In the event of resignation or incapacity of any officer except the president, or any trustee, the vacancy may be filled by a vote of the board of trustees for the unexpired term of office. In the event of dissolution of the society, assets shall be distributed first to one or more local exempt purposes within the meaning of Section 501 (c) (3) of the Internal Revenue Code, or corresponding section of any future Federal tax code, or shall be distributed to the Federal government, or to a State or local government for a public purpose. This constitution may be amended at any regular or special meeting by a two-thirds vote of those voting, provided notice was given at the previous meeting; or it may be amended at a special meeting called for that purpose, with previous notice and a two-thirds vote. All proposed amendments shall be submitted in writing. Section 2. Annual dues for individual active members shall be $10. Section 3. Annual dues for student members shall be $5. Section 4. Annual dues for family members shall be $20. Section 5. Annual dues for institutional members shall be $50. Section 6. Annual dues for contributing and sustaining members shall be $50. Section 7. Honorary members shall be presented membership. Section 8. Annual dues shall be payable in advance, and members in arrears more than six months after payment is due shall be dropped from membership. Section 1. Regular meetings of the society shall be held at least four times per year on the first Thursday of the month. Section 3. The board of trustees shall meet every other month. Special meetings of the board of trustees may be called by the president. Section 4. For regular meetings of the society, one-fifth of the active members shall constitute a quorum. Section 1. The president shall have executive supervision over the activities of the society within the scope provided by these laws and shall preside at all meetings. The president shall report annually on the activities of the society and shall appoint the members of committees and delegates not otherwise provided for. Section 3. The secretary shall keep the minutes of meetings of the society and of the board of trustees, maintain a list of members, and render an annual report. Section 4. The treasurer shall be responsible for the safekeeping of society funds, for maintaining adequate financial records, and for depositing all monies with a reliable banking company in the name of the society. Monies shall be paid out by numbered checks signed by the treasurer and the president. The treasurer will collect dues, and shall render an annual report based on the calendar year. Section 5. The board of trustees shall have the power to conduct all affairs of the society. It shall select candidates for office, pursuant to the constitution. The board of trustees shall decide questions of policy that for any reason cannot be acted upon at a meeting of the society and perform such other functions as designated in the bylaws or otherwise assigned to it. At any meeting of the board of trustees, 50 % of the members shall constitute a quorum. The board of trustees will elect its own chairperson. The board of trustees, through the president, shall render an annual report at each annual meeting. Collections Committee. Responsible for collecting, cataloging, and preserving documents and other historical material. Program Committee. Responsible for arranging suitable programs; for setting time, place, and date of meetings. Membership Committee. Responsible for membership drives and processing new candidates for membership. Nominations Committee. Responsible for making nominations for officers and members of the board of directors. Publicity Committee. Responsible for information outreach to the public and coordination with program and membership committees. Section 2. The president of the board of trustees shall appoint members and chairmen of the standing committees. Section 3. Other committees, standing or special, may be appointed by the president as directed by the society or board of trustees, except that the nominating committee shall be appointed by the board of trustees. Section 1. The rules contained in Robert’s Rules of Order shall govern the proceedings of the society except in such cases as are governed by the constitution or the bylaws. 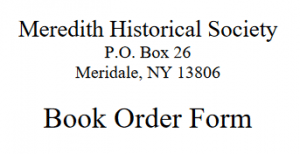 Article II of the bylaws was amended at the annual meeting of Meredith Historical Society held on May 4, 2006 to read as follows: Regular meetings of the society shall be held at least four times per year on the first Thursday of the month. The Constitution of Meredith Historical Society was amended on March 13, 2008 to delete Section 4 of Article VI that specified term limits for officers and trustees. Section 4 had stated that “a person who has been elected to the board of trustees for two consecutive terms, or elected as president or vice-president for three consecutive terms, shall not be nominated to the same office unless one year elapses between the end of his or her last term and the beginning of the term for which he or she is nominated”. The original Section 5 of Article VI is now appears as Section 4. Article VI, Section 1 of the Constitution was amended on May 7, 2009 to read as follows: All officers and trustees shall be elected by secret ballot at the annual meeting by a majority vote of the members voting.